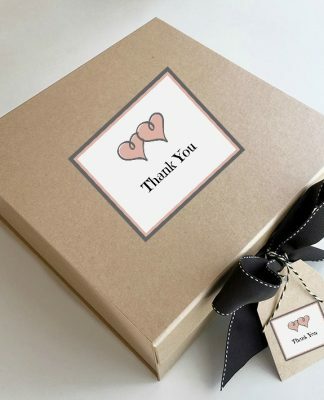 Pearls and pearl wedding accessories are classics that are synonymous with weddings for good reason: They’re pretty, timeless, and give your bridal look an instant heirloom feel. They’re also versatile yet understated enough to have stylish staying power. Are you partial to a traditional aesthetic like the timeless appeal of a strand pearl necklace? Or are you going for a more fashion-forward look by pairing pearls with metallic accents, adding a surprising element to your ensemble? 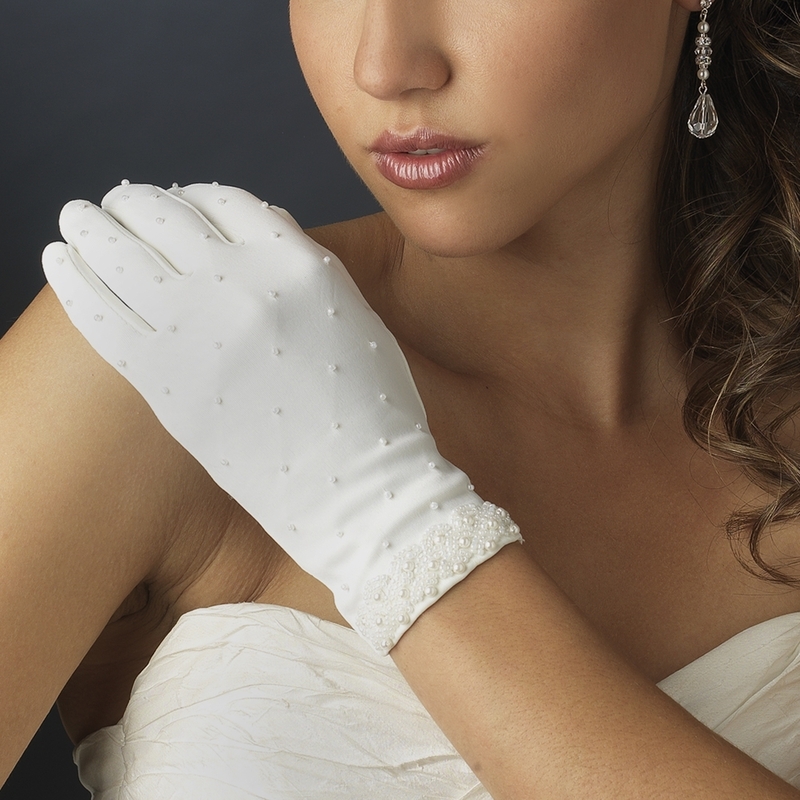 Either way, pearl wedding accessories will give your bridal outfit that extra polish. And we’re not just talking about jewelry. 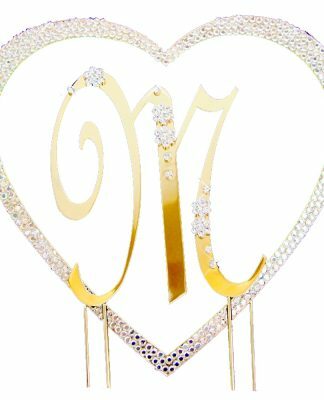 Below are some of our favorite pearl wedding accessories (including headpieces, gloves, and veils) that we’re obsessed with and that are sure to look ultra-chic on your special day. The Dainty Fleur Embroidered Veil is a vintage-inspired, single layer length of tulle featuring dainty blooms and scattered silver bugle beads, tiny pearls, and rhinestones which give it its subtle shimmer. 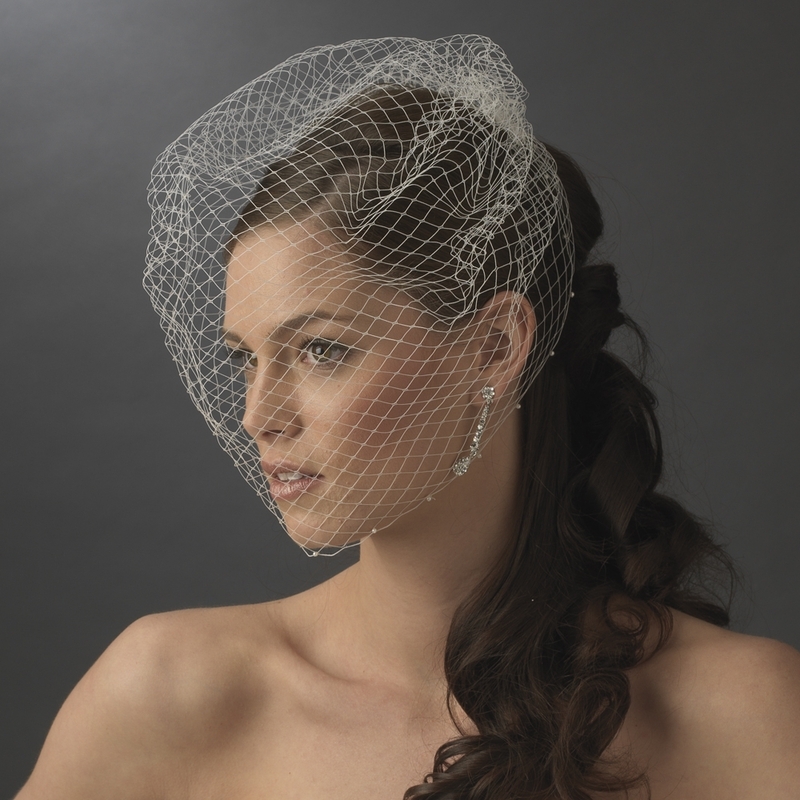 This Beautiful Scattered Pearl & Rhinestone Veil featuring scattered pearls and rhinestones can be worn in a variety of ways: Over your face as a blusher, or flipped back for a more voluminous look. 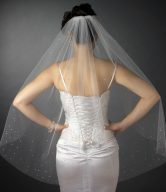 This Elegant One Tier Beaded Edge Wedding Veil is trimmed with a beautiful beaded pearl edge, making it all at once understated and as it is dramatic. Reminiscent of vintage retro style, the Scalloped Pearl Birdcage Veil features a soft scalloping edge that is accentuated with a scattering of lustrous faux pearls that add sparkle to this blusher. 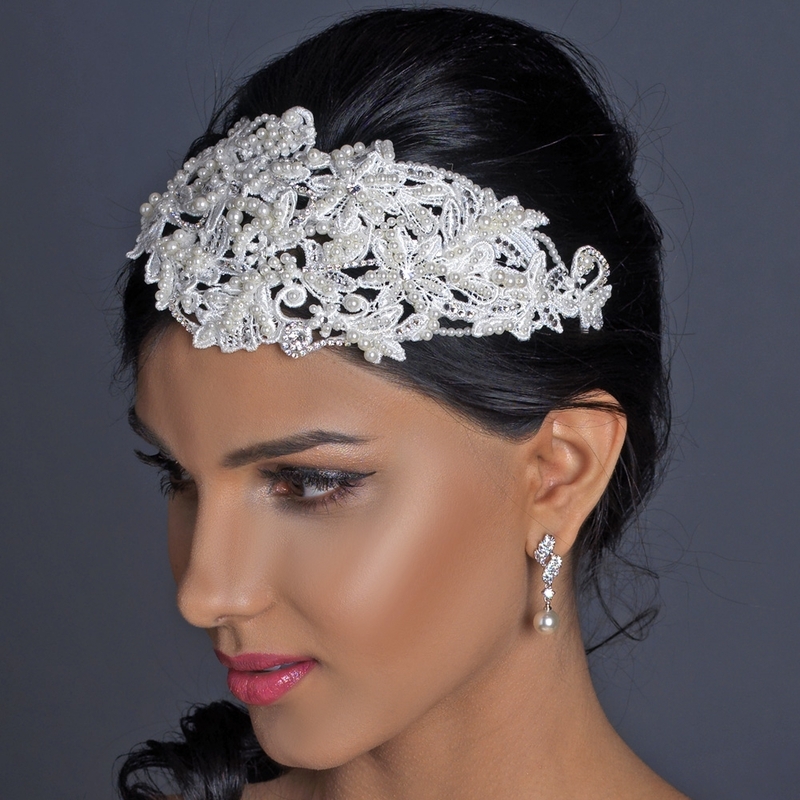 With a glimmer of lustrous ivory pearl accents and sparkling rhinestones, this Floral Bridal Headband Headpiece adds a natural shine to your locks. The Pearl & Rhinestone Russian Tulle Cap Headband made from dozens of sparkling pearls and rhinestones beautifully dispersed throughout the piece is refreshingly versatile, and can be placed wherever an accent is needed. Clusters of creamy freshwater pearls, clear Swarovski crystals, and glittering rhinestones are arranged into a lovely floral vine design in the enchanting Portici Bridal Halo Headpiece. 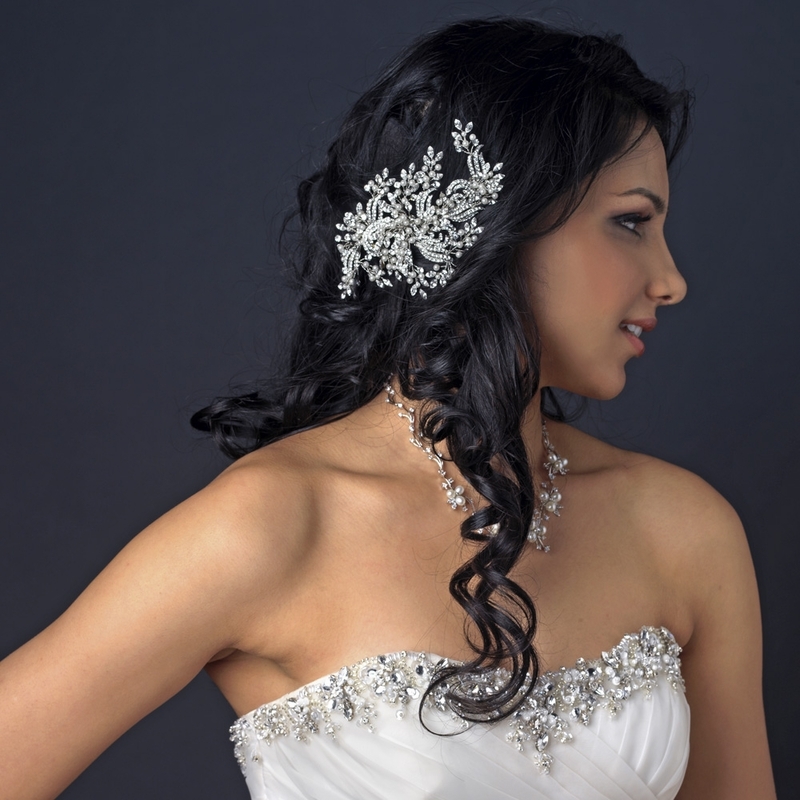 Delicately wired blossoms and buds of ivory pearls and crystals are fashioned into an intricate lush rhinestone floral in the garden-inspired Blushing Bloom Vine Hair Comb. Lustrous ivory pearls, lace, and mesh accents sit atop a single stunning bloom in the winsome Chantal Lace Flower Hair Clip. 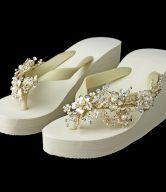 Dazzling rhinestones bring a glimmering botanical flourish. Embellished with swirling vines and leaves encrusted with glittering crystals and luminous white faux pearls, the Fabulous Crystal & Pearl Bridal Comb brings an easy elegance to your look. 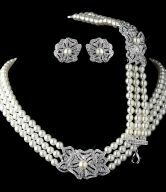 In this delicately crafted jewelry set, dozens of pearl and rhinestone flowers, floral silver vines, and pearl and rhinestone leaves are wired to form a beautiful and glamorous design. 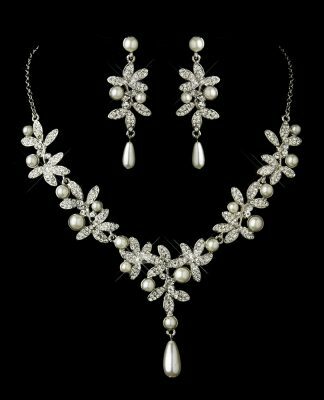 We’re captivated by the way this Glamorous Pearl & Rhinestone Floral Bridal Jewelry Set catches the light. With delicate pearls and glittering rhinestones strung along the length of a double strand, the Silver White Pearl Pave Ball Bridal Necklace Set gives a time-honored classic a touch of modern simplicity. 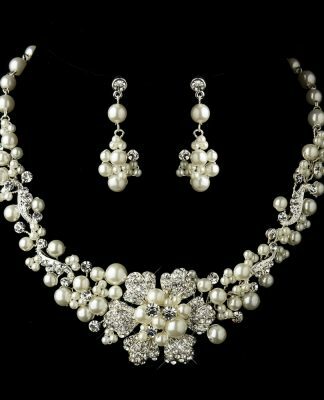 Dangling from an intricate chain design of glittering CZ stones, the Stunning Silver Ivory Drop Pearl Bridal Jewelry Set features a soft, lustrous ivory drop pearl that sways delicately on this ultra-feminine, dainty piece. These Pearl Beaded Wrist Gloves feature a design of bugle beads and pearls at the wrist and throughout the gloves. The Designer Pearl & Lace Fingerless Gloves feature matte satin decorated with pearls and beads, along with sheer embroidery and lace detailing.